Acclaimed by Money Magazine as one of the top 100 towns in the United States to live and work, Hackettstown offers an exceptional quality of life and some of North Jersey finest real estate options. The town, situated in the idyllic foothills of northwestern New Jersey, boasts the Blue Ribbon Award-winning Hackettstown School District, safe communities, abundant parkland and easy access to major highways, New Jersey Transit, Newark Liberty International Airport and the Lehigh Valley International Airport. For families, young professionals, retirees and commuters to the Lehigh Valley and across North Jersey, Hackettstown offers an outstanding place to live. Hackettstown, NJ is close to the cities of the Lehigh Valley, and real estate offers solid value and affordable prices compared to many other towns in North Jersey. Homes for sale in Hackettstown also offer low interest rates, making home ownership very affordable and viable for all sorts of buyers. Hackettstown homes include charming single-family homes in quiet neighborhoods and modern developments with great amenities. It's popular with young families, and by virtue of its size and friendly atmosphere is considered a very "walkable" community. With its convenient access to great public schools, parks and other amenities, Hackettstown homes for sale are among the most desirable in the region. Hackettstown, first settled in the colonial days, was officially incorporated in 1853. The town’s rich farmland and burgeoning railroad lines brought much prosperity in the late 19th century and it later became an outlying suburb of both the Lehigh Valley and the New York metropolitan area by the late 20th century. Today the town offers a mix of small town charm and suburban comfort, hosting renowned public schools, beautiful homes and idyllic scenery all around. The town offers an abundance of outdoor activities to enjoy, including camping, hiking, mountain biking and bird watching. The Musconetcong River, which lies on the edge of the town, offers excellent fishing while Upper Pohatcong Mountain is known for its bucolic trails and superb hiking. Nearby, the Merrill Creek Reservoir and the scenic Delaware Water Gap National Recreation Area offer a wealth of recreational and leisure activities year round, especially fishing and boating. 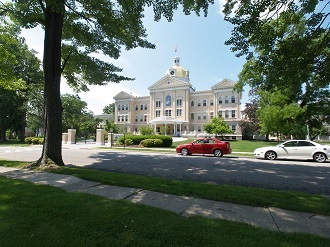 Picturesque Centenary College in Hackettstown was founded in 1867, and is a site for many cultural and sports events throughout the year. Other local attractions include Minebrook Golf Club, the Hackettstown Ice Rink, Wine Time winery, and the village’s quaint flea markets, antique shops, restaurants, and farmer's markets. For local events see http://www.hackettstownlife.com/ Nearby, the Lehigh Valley cities offer more great museums, parks, galleries and fascinating historic sites to enjoy. Events and festivals close to Hackettstown offer plenty of fun for the whole family. Just a few include exhibitions at the Red Mill Village Museum, the Warren County Farmers’ Market, the Hot Air Balloon Festival, the Hope Christmas Craft Market and much more throughout the year. 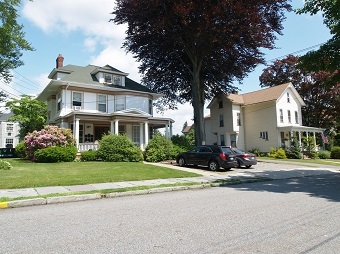 A Hackettstown home owner has the advantage of acclaimed public schools, beautiful parks and friendly, small town charm. Those looking for Hackettstown properties should call Maryann Johnston at 201-964-6451 as soon as possible. She has knowledge of all the best deals available!